Thayer Coggin utilizes a variety of different cushioning in our handcrafted furniture. Our cushions are the highest quality cushioning available: all foams used in our seats are environmentally-safe and produced without the use of ozone destroying CFC’s. 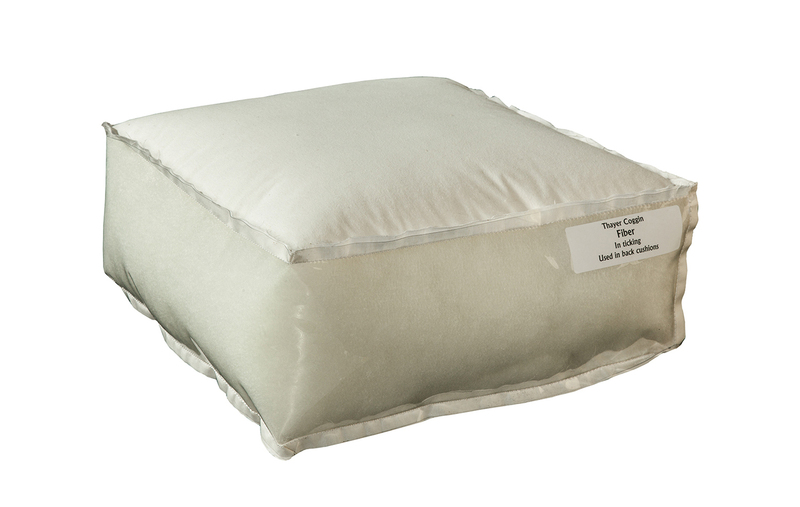 Our premium cushions have proven in laboratory tests and in practical application to be durable, versatile and extremely comfortable. 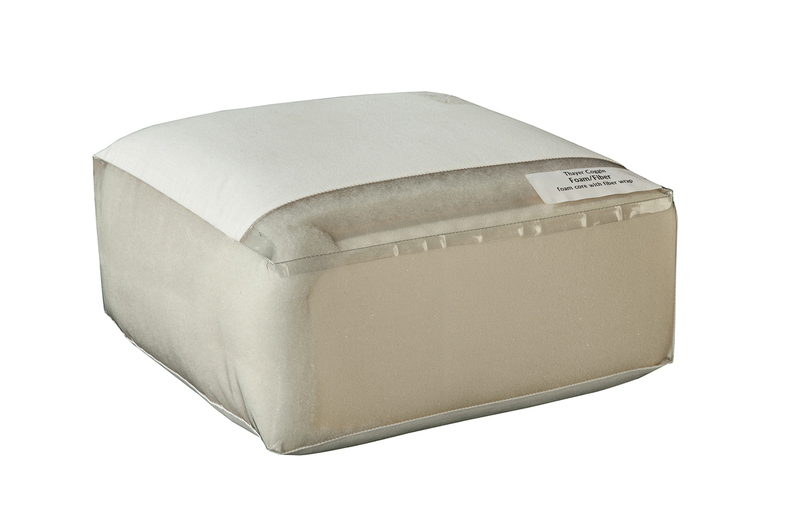 Below are several of the different varieties of cushions we use to achieve ideal comfort and support in our furniture. Certain cushions are not available on all furniture styles. 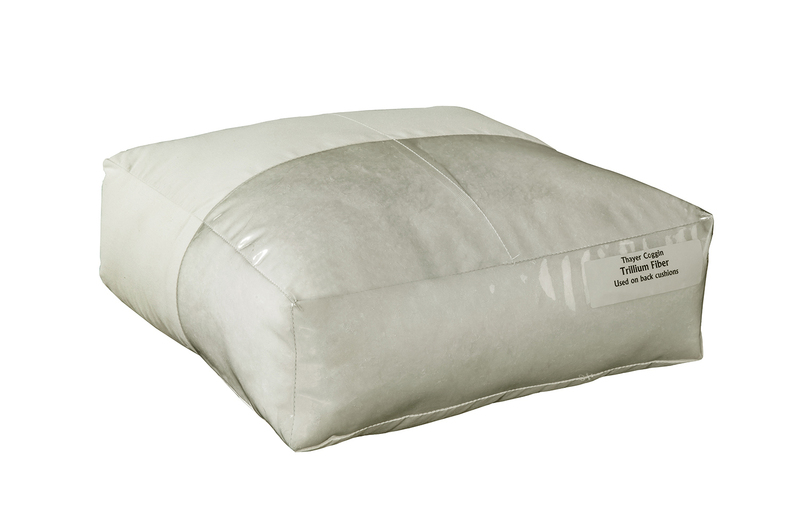 The standard cushion, selected for maximum comfort and peformance on that style, can be made softer or firmer for a small up-charge. Foam core with fiber wrap. 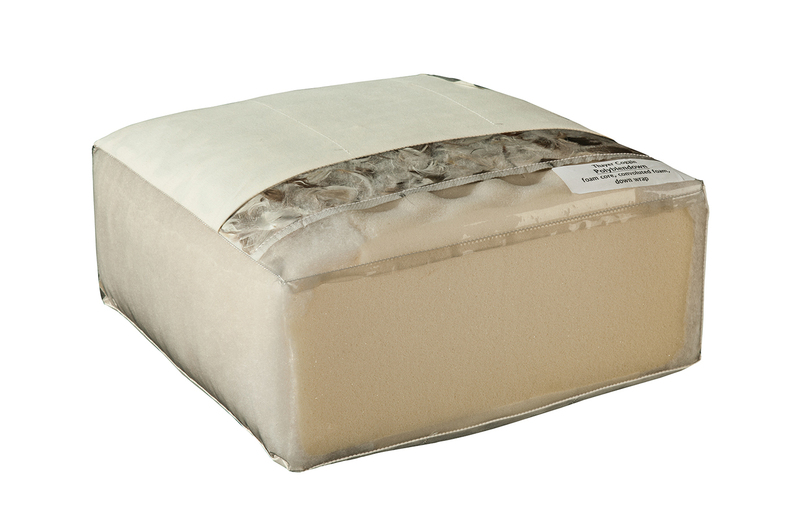 For tight seat applications, a dense foam core is used. 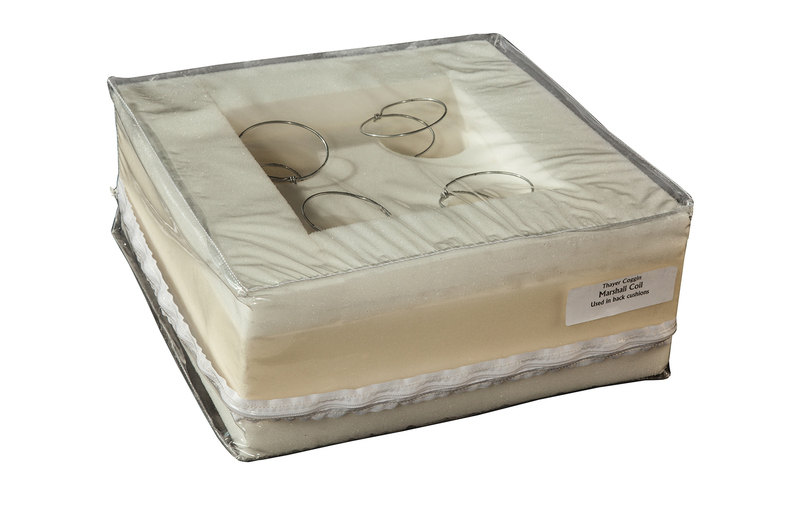 For a soft seat, a lighter foam core is used. Periodic fluffing and rotation is suggested. Foam core, topped with convoluted foam, wrapped in fiber. Requires periodic fluffing of cushions. 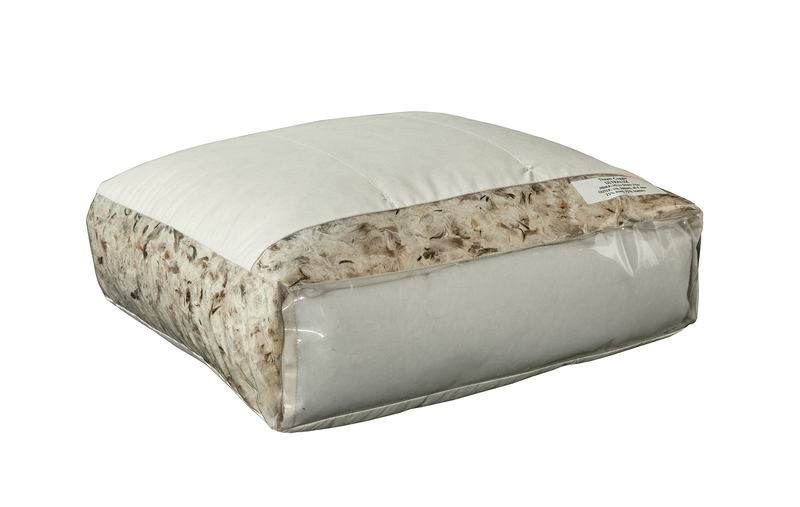 Outer cushion is downproof ticking with pockets; top bottom, and four sides, containing 25% down, 75% feathers. Our blend of down to feathers is a premium for the industry. 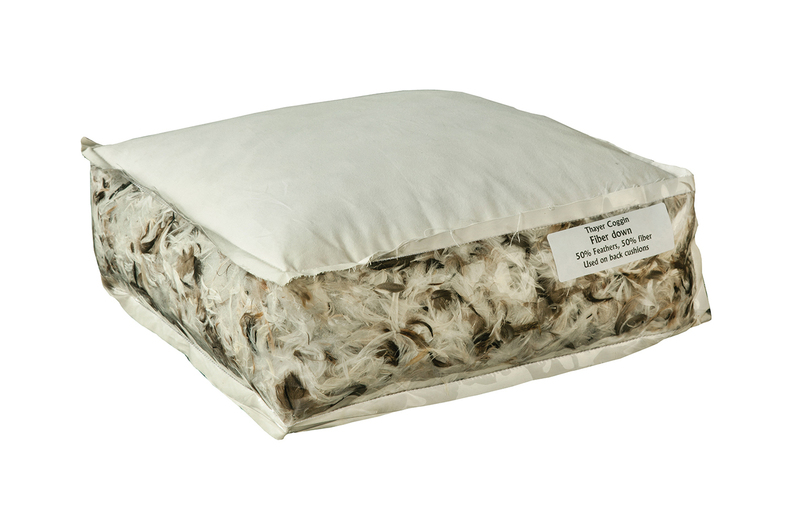 Inner cushion is a core section containing micro denier fiber. Requires fluffing to restore depth. A foam core, wrapped in fiber, topped by convoluted foam, then waterfowl down. Requires fluffing to restore depth. Foam with embedded coil springs, surrounded by less dense foam on all sides. Siliconized microfiber strands made from recycled post-consumer products in ticking. Blend of fiber, feathers, and down in downproof ticking.